Our working definition of the word or term “consortium” must be as follows: A close and meaningful bonding, togetherness and relationship between persons created and developed by birth, marriage, adoption, or some other form of bonding where the persons have had an existing relationship and have or should have an existing relationship into the future, but where such relationship – whatever its level of existence – does not have to have been perfect to have been strong and meaningful. Sadly, there is perhaps no area of damages more ignored and minimized and less focused upon than loss of consortium claims. The simple truth is that most lawyers in most personal injury cases treat loss of consortium claims as somewhat of a throw-away item of damages. Little attention is often paid to the focused development of the claim for loss of consortium. Part of our purpose in this paper is to open everyone’s eyes to the splendor of these majestic relationships – even when they are not perfect and even when there are significant problems – to understand that this is a major component of damages in virtually every personal injury case, regardless of the mechanism of injury, regardless of the age of the persons, and regardless of the existence of issues and obstacles which have arisen in the relationship. Because there is no further explanation of what any of this means, it is up to you as the trial advocate to guide the jurors to a clear understanding of the meaning of loss of spousal consortium and the significance of these losses. Sin #1: Failure to develop a solid consortium claim because of prior marital problems. Sin #2: Failure to name the spouse as a plaintiff and plead the loss of consortium claim from the start of the case. Sin #3: Failure to develop the spousal loss of consortium claim fearing that a weak loss of consortium claim may diminish the damages in the main claims of the injured spouse. Sin #4: Failure to bluntly explain to the judge and jury the “visceral” aspects of the spousal consortium claim while simply glossing over or vaguely showing to the jury these losses. Sin #5: Failure to openly discuss the loss of consortium claim in voir dire. Sin #6: Failure to teach the jurors on the meaning and extent of loss of consortium and the losses in your particular case in opening statement. Sin #7: Playing down the loss of consortium claim in summation as opposed to making it a major component of the claim and sometimes even a claim which exceeds (in terms of money damages) the main claim of the injured person (which can and should be done in selected circumstances). *For purposes of brevity, pertinent excerpts are included below; however, you are strongly encouraged to read the entire majority opinion and dissenting opinion in this case. It will be noted at once from this definition that while consortium is the very life blood of the marital state, it is something different from and beyond what the husband means to his wife in providing her with physical support and maintenance. Certainly when a girl gives up her home and family with all the tender associations which have been hers to enjoy since infancy, she expects, and is entitled to have, from her husband, a comfort, companionship, society and love which in their combined virtues will offer her even greater happiness than that which she cherished in the midst of her brothers, sisters, and parents. This claim to her husband’s protection and affectionate mantle becomes hers as much as the wedding ring he places upon her finger. And it is this dedicated devotion which makes her a wife, because if marriage were to mean merely the guarantee of a roof, clothes and food, then, by entering into the bonds of holy matrimony, the wife would really be receiving only a key to an exclusive boarding house. No one can possibly question in enlightened America that the physical and mental companionship of her husband is a right possessed by every married woman. And it is a legal property, not only a moral blessing. It is that kind of property which entitles her to a severance of the marriage contract if he fails to abide by the vows undertaken at the altar rail. This vested prerogative is so firmly established in the married woman that if somebody steals away her husband’s affection, society, fellowship and comfort, she may bring an action of alienation of affections against the invader of her personal realm. …It is generally supposed that love, affection, and devotion are abstract terms which have no palpable *167 reality and therefore cannot be translated into money. In the spiritual world this undoubtedly is true, but where a trespass action for a demonstrated wrongful act is involved, these terms, because of the inexorable law of necessity, must find practical transmutation. The music produced by a symphony orchestra and the fragrances which emanate from a flower garden also fall into the world of the incorporeal, but they are nonetheless very real and can be the subject of material compensation if they cease to exist because of the destruction of the means which bring them into existence. The mere presence of a mother who cooks and serves a meal adds an enjoyment which is something beyond what one tastes in the food prepared by a hired house-keeper, no matter how conscientious and able that housekeeper may be. The extinguishment of that enjoyment is something which goes into the accounting of the person who extinguished it. The affectionate greeting, the tender solace, the never-failing inspiration are all part of a wife’s companionship and a mother’s care, which disappear with the intervention of death, and there is no reason why the person responsible for the death should not be required to pay for those lost treasures, as much as he is required to pay the wages of the strange housekeeper, the employed seamstress, the new cook, or the hired tutor. Who is to compute the financial counterpart of these cherished resources which have been laid in ruins? The answer is, the jury. Who is to appraise the hurt and the haunting emptiness of a home when the mother has permanently departed, even though all the curtains are in place and every piece of furniture is still in use? The answer is again, the jury, who, from the testimony, may visualize the decedent and recreate in their minds what she brought to the household which was dependent upon her…. …Under today’s decision the husband, in the event of the death or serious injury of his wife, may not recover anything more than the value of his wife’s services as a housekeeper, a valet, or kitchen scullion. This is a shocking appraisal of what a wife means to a husband and to her family. The law, as now interpreted by the Majority, places the wife in the same category as the most menial servant, so far as pecuniary appreciation of her services is concerned. In future cases, where this question arises, the jury will be instructed that they must not award a penny for what the husband loses in the companionship of the partner of his worries, hopes and dreams. …I respectfully offer the suggestion that the decision of today has made a strange dish of the whole sacred matrimonial relationship. So far as legal recognition is concerned, it has taken all the romance out of married life; it has made of a married couple a simple business partnership. It says in effect that companionship means nothing, love is of no value, society is not recognized, the tender affection between husband and wife has no place in the chronicles of the law. It used to be that when Mary Quadrille married John Cabot, they became Mr. and Mrs. Cabot. Under today’s decision, the wedded couple will become Quadrille & Cabot, Partnership. John keeps what is his, Mary keeps what is hers, and if anything happens to one or the other, the remaining partner may not apply to the law for recompense for what is the most precious possession of all, the jewel of companionship. Under the Married Women’s Acts, a married woman is entitled to what she earns, she is entitled to obtain and hold property in her own name, she is entitled to retain her original name. But of what value are these rights if she must give up the bond which holds her husband? If neither spouse can legally claim damages for the loss of the companionship of the other spouse, this amazing legal pronouncement comes close to proclaiming that such companionship has no legally recognized existence. And if the law does not recognize that the sentiment of that companionship is a substantive legal right, then Quadrille and Cabot are indeed only business partners occupying the same intimate quarters…. …*174 On July 2, 1959, just a year ago, as I have already quoted, we said: “Between the innocent victim of a wrong and the person who accomplished the wrong, the law imposes on the malfeasor the obligation to make the victim whole. . .” But does the decision of the Court today make the malfeasor pay for the wrong he has imposed on his innocent victim? The object of a Court decision is to benefit the innocent and punish the guilty. It is to ease the burden of those without fault and require the blameworthy to repair the damage they have done. The decision of today punishes the injured person and rewards the injuring one. The tortfeasor blasts the happiness of an innocent married couple, but he must not be required to pay because to do so would be to look through the eyeglass of the present day which presumably wizens what it looks at when Court-made law arbitrarily decides to destroy the flower of its own creation. Law is supposed to be the distilment of reason. What reason is it that proclaims that a lawsuit will be accepted if it claims compensation for a scratched finger or for a broken leg but will turn a glass eye on the shattered heart of the most respected relationship in civilization, the marriage relationship, that relationship which has, for its very raison d’etre, companionship, love, devotion and care recognized by law? For the last half century the law has made extraordinary progress in accepting the biblical precept that “Man shall not live by bread alone”, but today’s decision proclaims that when a husband loses his wife’s companionship, or a wife loses her husband’s care, devotion and love, the surviving spouse shall be satisfied with the crust of a few dollars for the material things which have been lost or damaged — and nothing more…. …I have written many dissenting opinions but this one fills me with weariness and almost despair. It seems impossible that in this era of enlightened acknowledgment of the eternal verity that the worth of happiness in this earthly existence is made up of more than the perishable material things, the highest Court of this Commonwealth and the oldest Supreme Court in the United States, should deal a shattering blow which reduces the holy relationship of married life to one of a mere business partnership. *178 I believe that this wholly insupportable decision of today warrants the attention of the Legislature and that at its next session it should consider passing legislation which will restore to the husband, and grant to the wife, the right to compensation for destruction of the keystone of a happy family life, the very keystone which sustains the arch of sentiment, care, love and devotion which holds the family together. And until that legislation is enacted, or this Court repudiates, by overruling, this incredible decision of today, I shall dissent from every decision which this Court makes, denying to husband and wife a right which is the very badge of holiness between man and wife in the eyes of the law and the goddess of morality and justice. A. Services – This refers to the chores or household and family tasks which either can no longer be performed by the injured person or which cannot be performed as well or as long. B. Comfort – A condition or feeling of pleasurable ease; soothing in time of affliction or distress; consoling one suffering from grief or anxiety; things that contribute to physical ease and wellbeing; improving someone’s mood or restoring someone’s sense of wellbeing. C. Companionship – The good feeling that comes from being with someone else; friendly camaraderie; chumminess; inseparability; intimacy; nearness; fondness. D. Society – The totality of a social relationship between two or more persons; two or more persons distinguished from other persons because of their mutual interests, participation in characteristic relationships, common culture between the persons, shared interests; the culture of a distinct self-perpetuating group of two or more persons. E. Love and Affections – A feeling of strong or constant affection for another person; attraction which may include sexual desire; strong affection for another arising out of kinship or personal ties; affection and tenderness felt by lovers; affection based on admiration and common interests. Step 1 – Identify legal basis for existence of relationship (i.e., marriage certificate, adoption papers, biological parent, etc.). Step 2 – Identify factual basis for existence of relationship (i.e., nature of relationship, strength of relationship, duration of relationship, low points and high points in relationship, etc.). Step 3 – Must prove tortious conduct or liability of defendant. Step 4 – Must initially prove legal causation (and medical causation) in underlying case against injured person. Step 5 – Must prove that there has been injury, damage, and loss to injured person. Step 6 – Must prove that injury/damage to injured person has caused and resulted in physical or mental injury to the injured person which, in turn, have caused or resulted in loss to spouse (or other family member) as to elements of loss of consortium claim including lost services, comfort, companionship, society, love and affections. All too many a lawyer fear problems relating to loss of consortium claims. This fear is often based on the lawyer’s misdiagnosis of the relationship problem and of its meaning and, most certainly, as to its likely affect on the members of an American jury. Over the years, I have had cases where parents and children and spouses were often somewhat estranged from one another, and yet the jury understood the losses and decided upon reasonable and adequate awards. I have also had cases where prior to an incident one spouse had an affair, and yet in another case, a spouse threatened to kill the other spouse and had actually done physical violence on the other spouse prior to the incident in question. Yet in each case, the jury understood the nature of what had happened and why it had happened, and returned verdicts with reasonable and adequate awards. Although it is true that there are some instances where a relationship is so problematic that it is either non-existent, or it is what we might call the opposite of any form of a relationship at all, and perhaps the loss of consortium claim should not be pursued – that is a very rare and unusual occasion or event. In virtually every instance, there is indeed a reason for problems in a relationship and one which can be explained to jurors. e. Court orders regarding relationship. pp. Loving you for what you are as opposed to what you could have been or should have been. While there is perhaps no other area of damages which is more ignored and minimized, when properly prepared and presented to a jury, a loss of consortium claim often can be equal to or greater than other areas of damages. 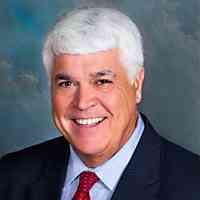 John Romano: A partner at Romano Law Group, John F. Romano is a civil trial advocate board-certified by the Florida Bar and the National Board of Trial Advocacy, as well as the American Board of Professional Liability Attorneys. John is also a member of the Taos Group, an association of prominent trial attorneys from around the country who work together to better serve the needs of their clients.